Usually in even wetter sites and deeper water than C. pellita, and only rarely growing with it. 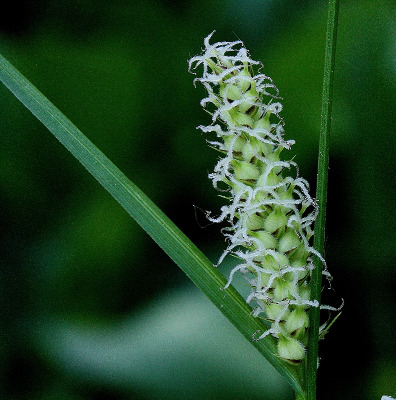 Most characteristically a plant of sphagnum bogs and fen mats where the well developed rhizome system makes it one of the major components of floating mats; remaining as a relic under black spruce, tamarack, and cedar. Very rarely, individuals will have sparse, fine pubescence on the sheaths; these are not accommodated in the keys. MICHIGAN FLORA ONLINE. A. A. Reznicek, E. G. Voss, & B. S. Walters. February 2011. University of Michigan. Web. 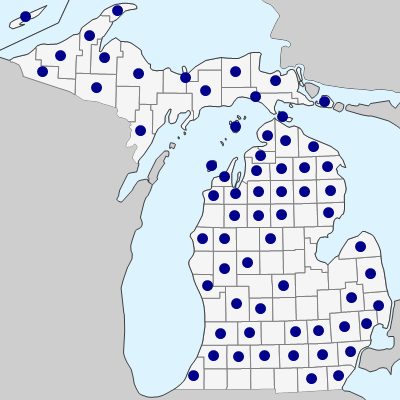 April 21, 2019. https://michiganflora.net/species.aspx?id=990.